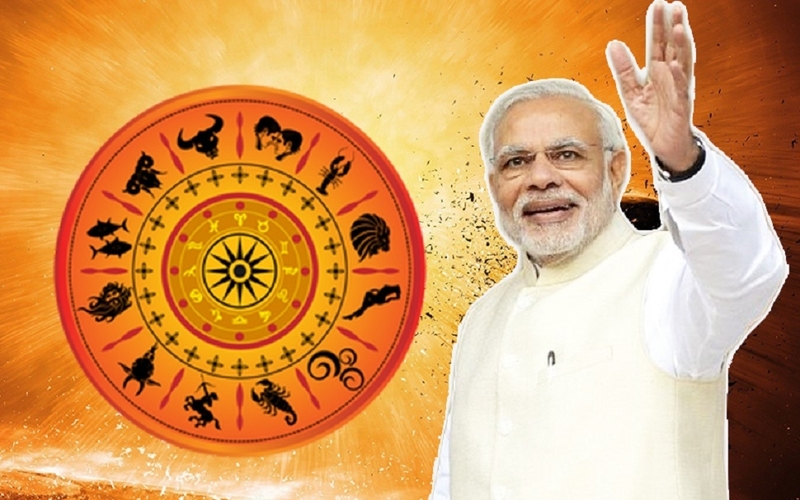 ASTROLOGY is just a finger pointing at reality, the dictum goes, and if the astrological analysis is anything to go by, the future seems bright for Prime Minister Narendra Modi as far as BJP’s performance in the ensuing Lok Sabha polls is concerned. With the elections just around the corner, the constantly building anticipation has reached the doors of stargazers, who are making a slew of predictions for the world’s biggest polls starting in just less than three weeks. While local political parties continue to play a significant role in Indian politics, all eyes are set on Rahul Gandhi’s Congress and Narendra Modi’s BJP, as the two have emerged as the lead competitors of the upcoming tug-of-war. ‘Who will win the 2019 elections?’ is the single most important question dominating the world of politics these days. Bejan Daruwalla, a well-known Indian astrology columnist, has a simple answer to this- “Modi will steal the show.” Speaking to ANI, Daruwalla said: “This time the struggle will be more and the fight will be tougher. However, Modi will steal the show. If you ask me what kind of qualities Modi possesses, I’ll say his best quality is that he can think fast and straight.” Daruwalla, however, added that while Rahul is a good leader, Modi is always one step ahead. “Rahul is a Gemini, he is clever, he is smart and he means well for the people. Now, I don’t want to compare the two, but I have seen, using seven different methods that Modi will win. According to the Chinese concept, that Modi is a tiger and Rahul is a dog. Dog is also good but it always comes below tiger. So, if I had to compare, I would say Modi is ahead. Rahul is good but Modi is better,” he asserted. Not just the planets, even the cards seem to be favouring Modi. Nandita Panday, a Delhi-based tarot card reader, after carefully studying her cards, made prophecy in favour of the BJP-led NDA. “Modi is going to have an upper hand as compared to Rahul. I have been saying this since 2017 that Rahul will pick up and that has happened. People have started noticing him. But I think he still has a long way to go. In the end, while NDA might have to face strong opposition, in the final outcome it will be NDA,” Panday told ANI. She clearly asserted that unlike 2014 general elections, BJP will not enjoy majority this time and will form the Government with a strong alliance. Panday also mentioned that the BJP will get support from the North-Eastern States of the country. She predicts that the BJP will end up with 230 seats and will then need a strong alliance to form a stable Government. Independent candidates can play a significant role in formation of the Government. “I don’t see BJP completely having the majority. It will be the alliance that will form the Government. My tarot statistics say that they will get a lot of support from the North-Eastern and the Eastern States of India,” she said.